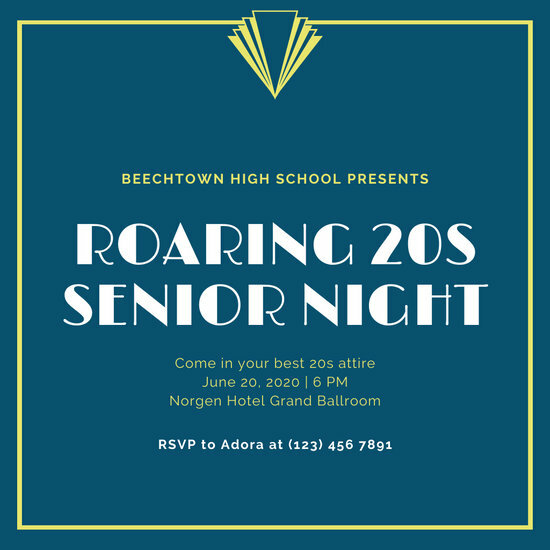 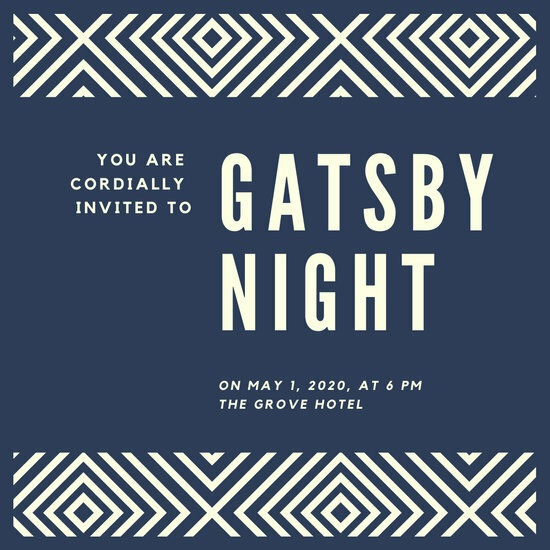 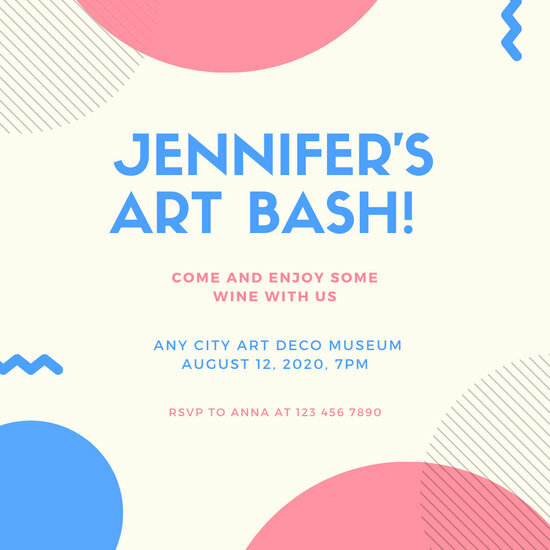 Invite your friends over to your classy, art deco party with one of Canva's readymade templates! 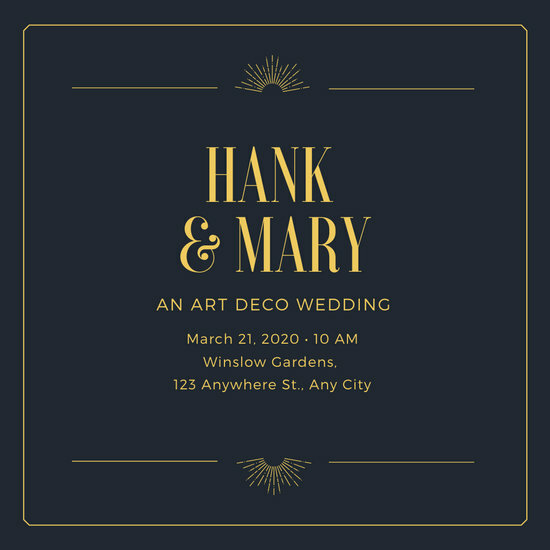 Simply customize it with our tools and you're good to go. 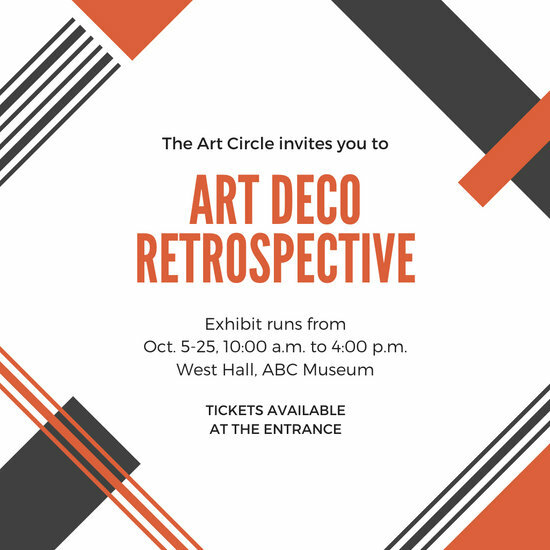 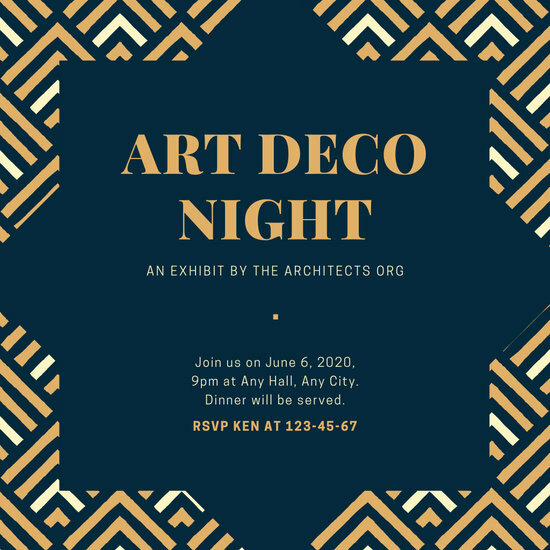 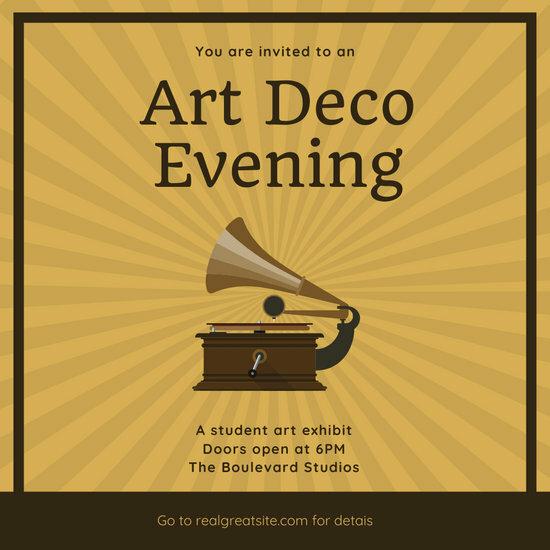 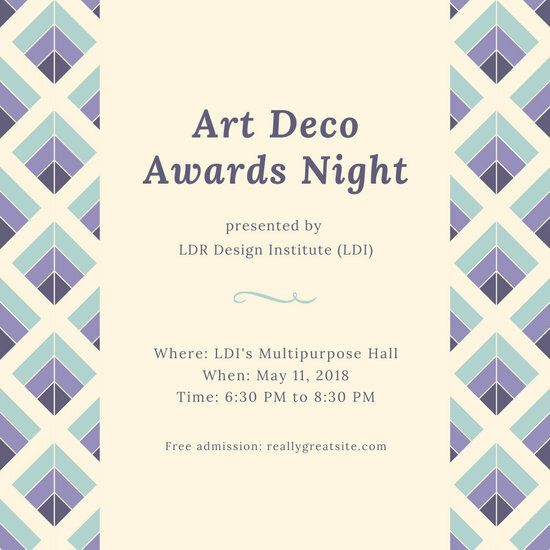 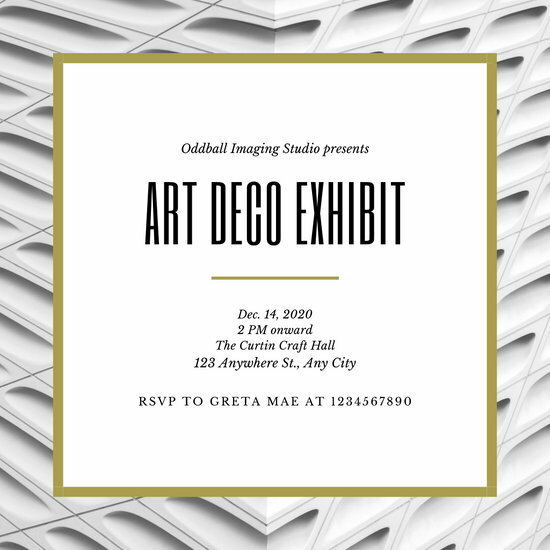 Planning an Art Deco exhibit? 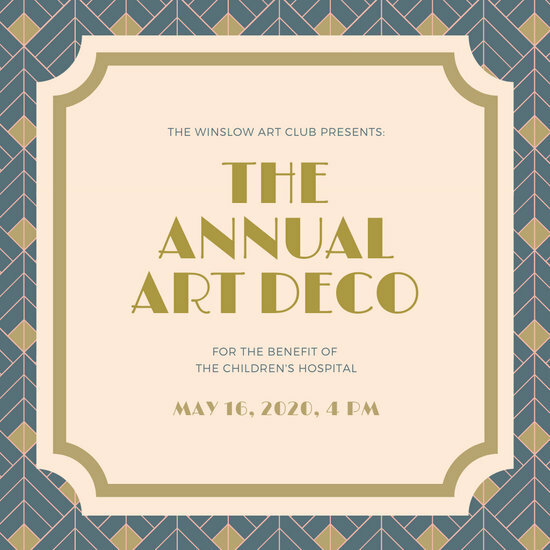 Or maybe even an Art Deco festival? 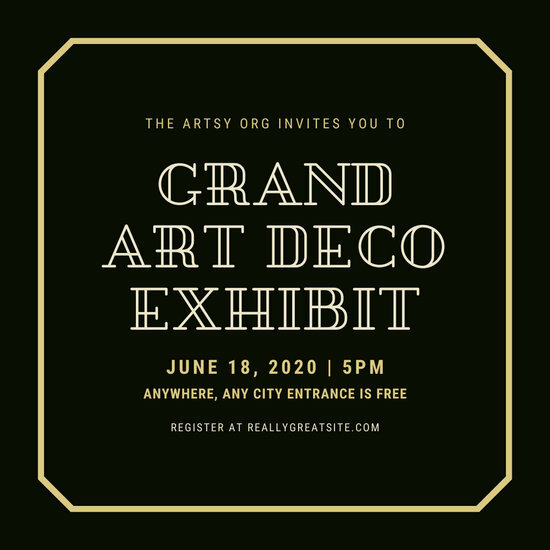 Celebrating visual arts, architecture, culture, and more is incredibly important. 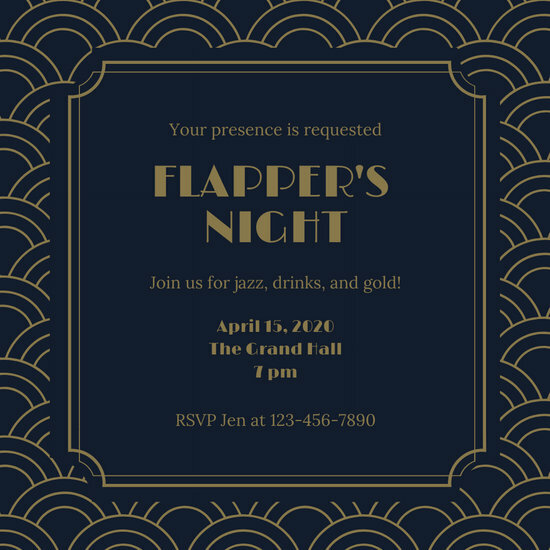 Excite guests and make your event memorable by creating invitations that stand out! 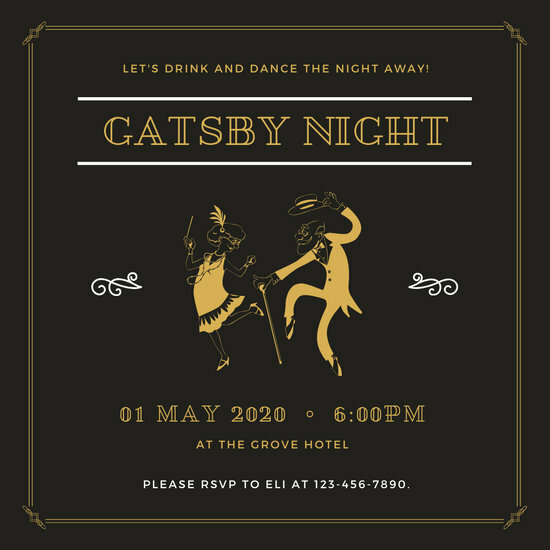 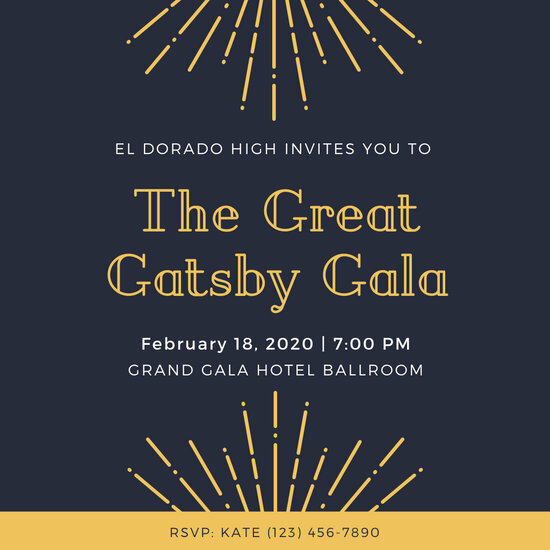 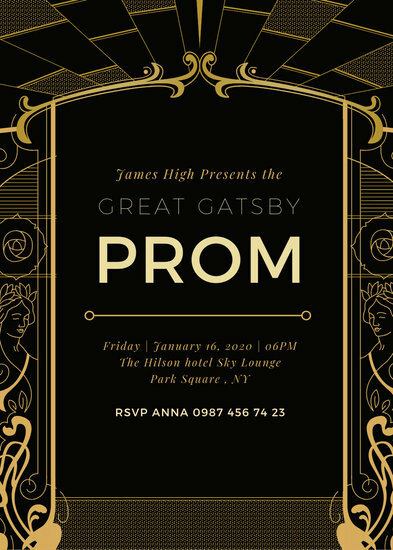 Canva has a huge collection of Art Deco invitation templates that you can choose from to use for your grand event. 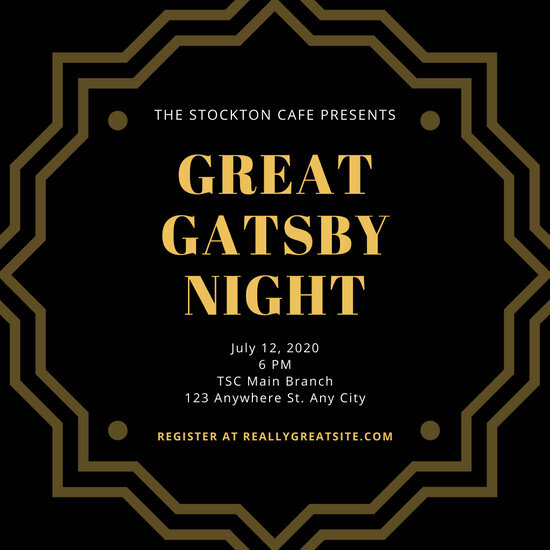 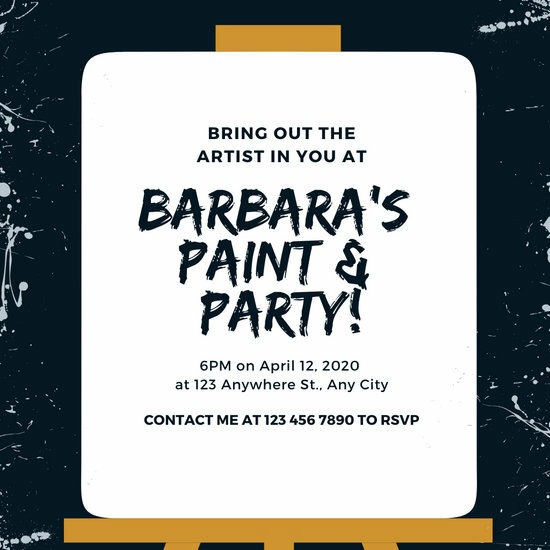 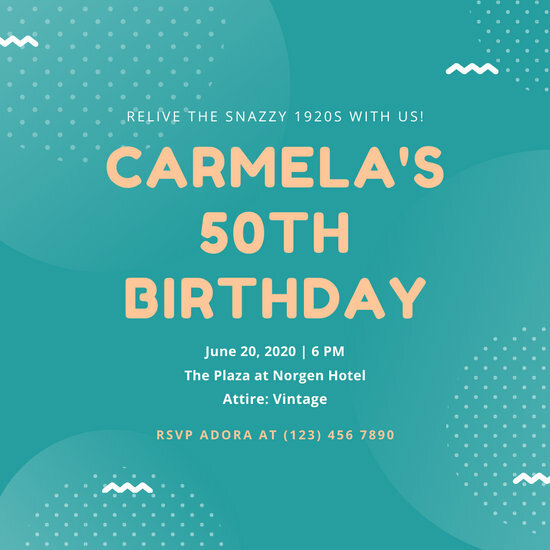 Thanks to Canva's quick and easy editing tools, creating invitations will be an engrossing activity that doesn’t take up too much time. 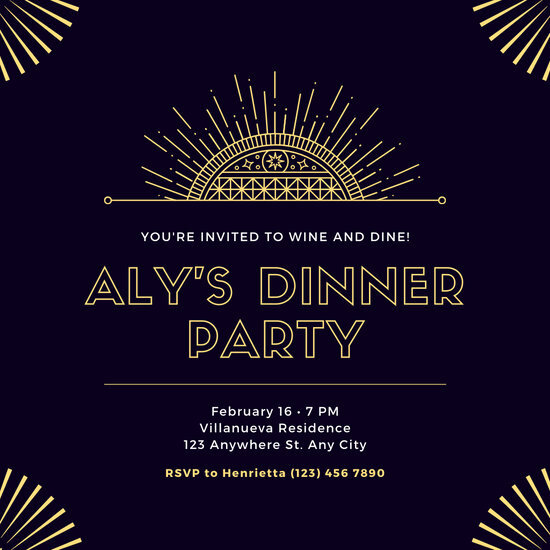 Canva empowers you to design, so feel free to customize your invitation as much as you'd like with the tools you're provided. 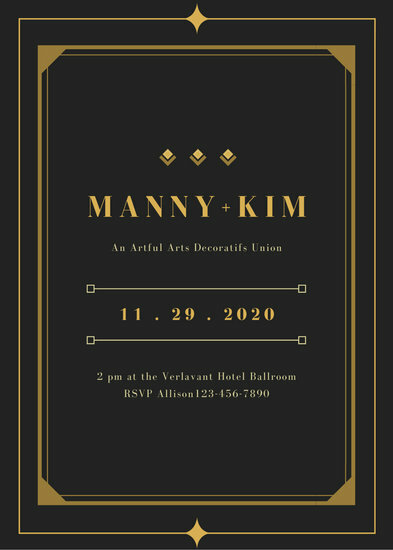 Change the colors, borders, or any element of your invitation to make it match the theme of your upcoming event better. 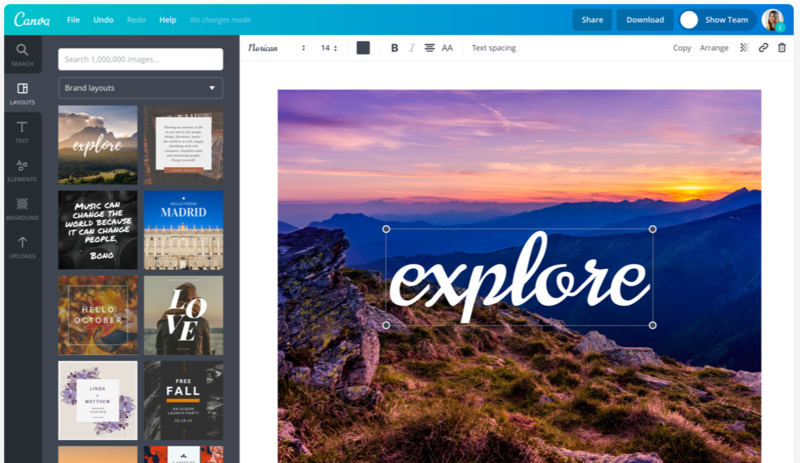 There are loads of suitable architectural elements in Canva's huge media library. 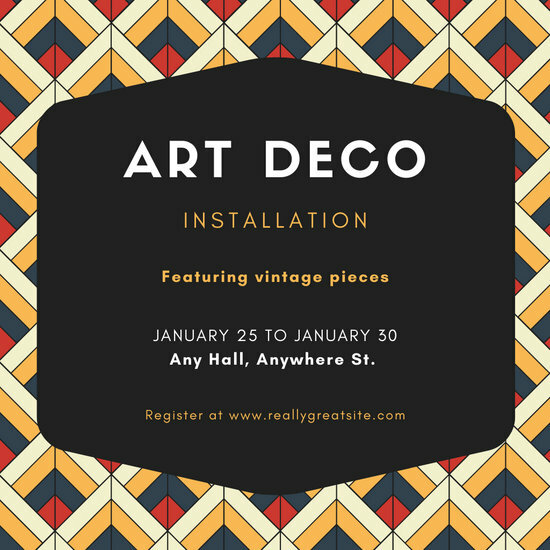 All you have to do is browse through the icons, stickers, and photos and select the ones that fit your design. 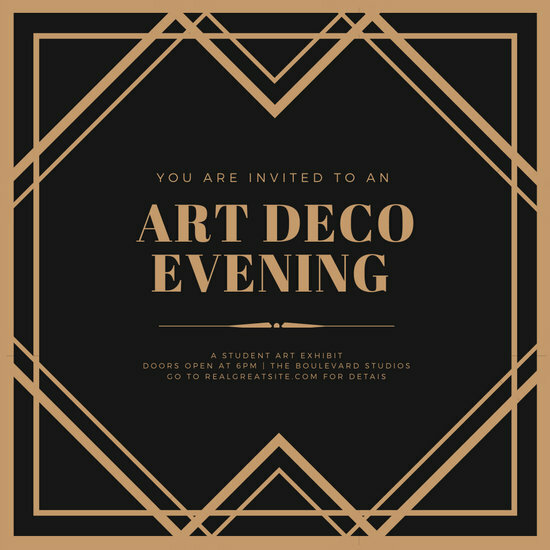 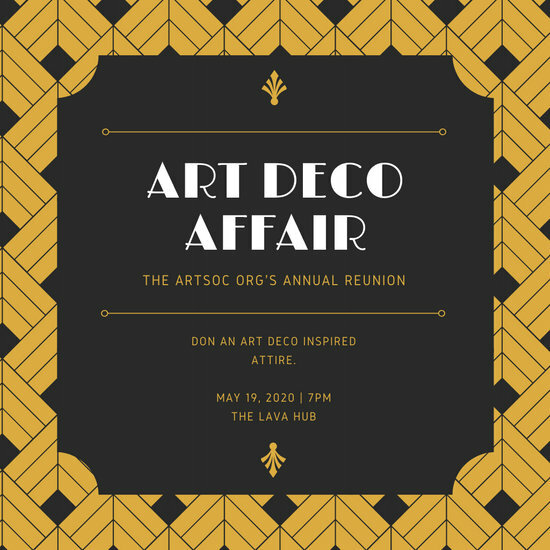 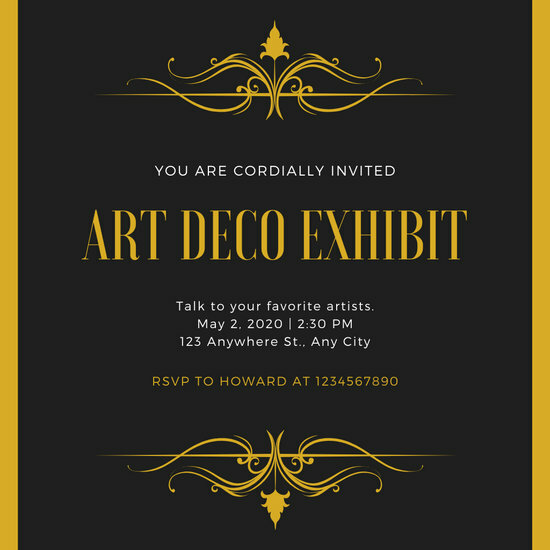 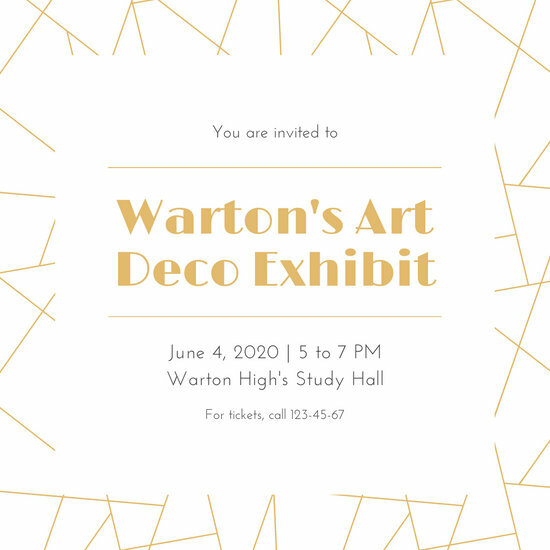 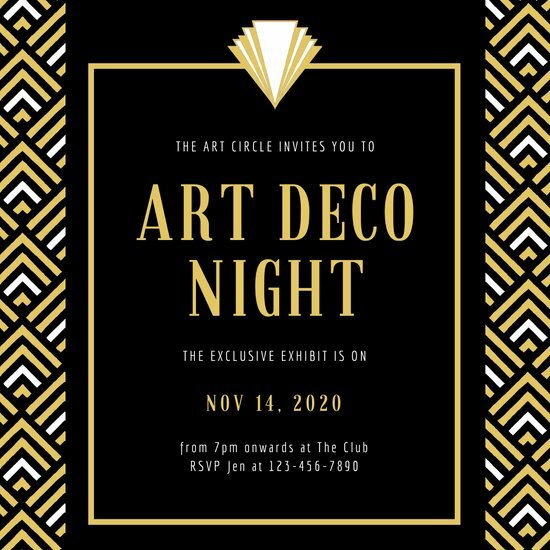 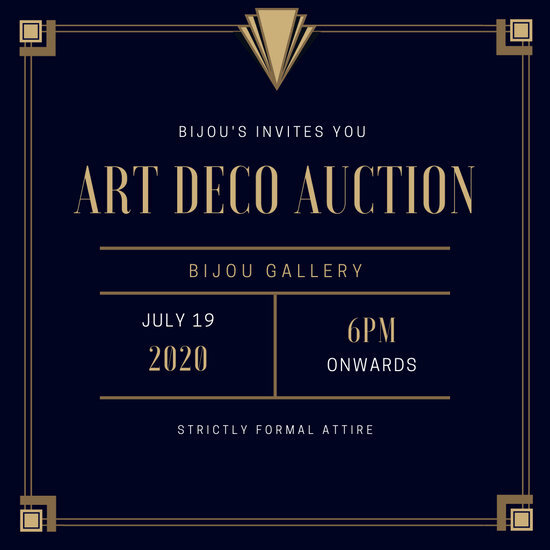 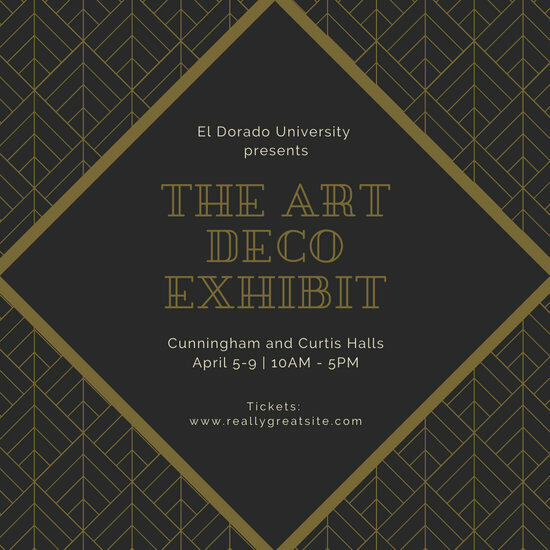 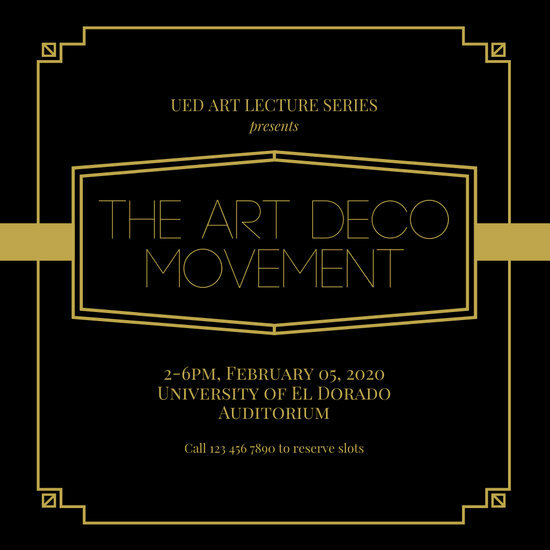 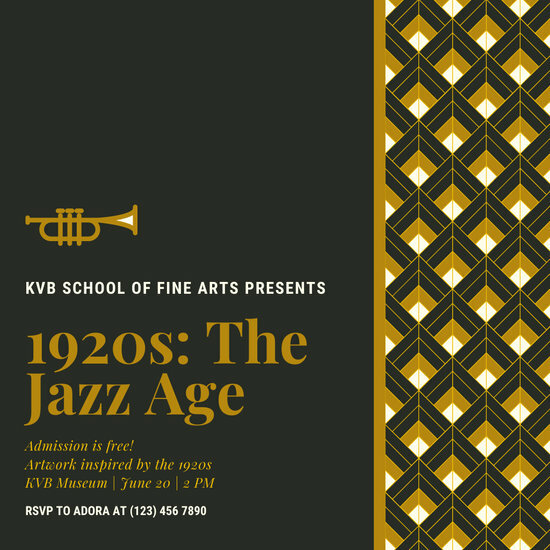 Use the text tool to type in the event name along with other important details including the date, time, and venue of your Art Deco event. 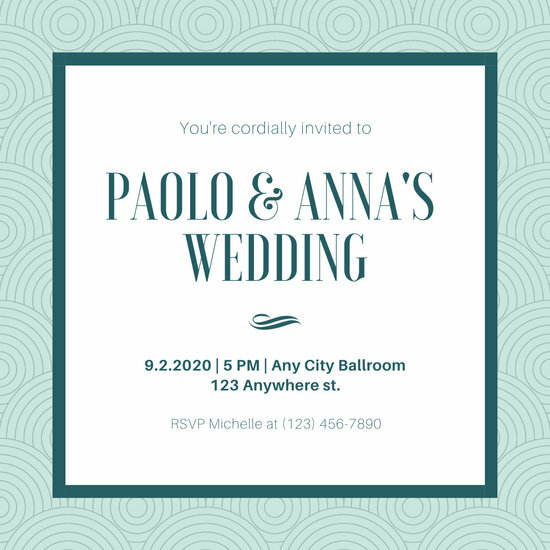 You can even upload your own photo to give your guests an idea of what's to come! 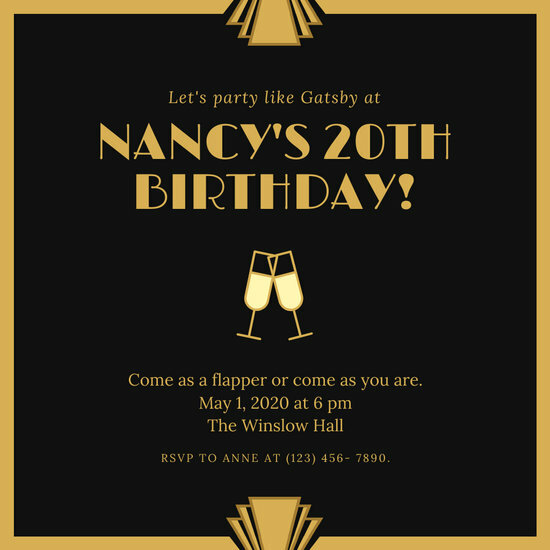 Once you're satisfied, save your design and print it out. 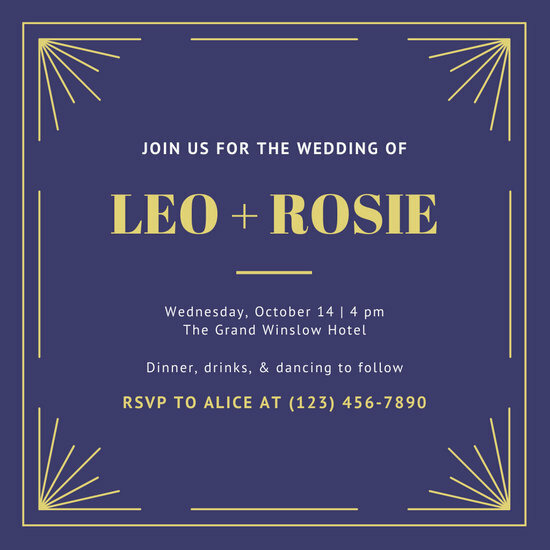 You also have the option to post it directly on Facebook or Twitter to reach your guests faster. 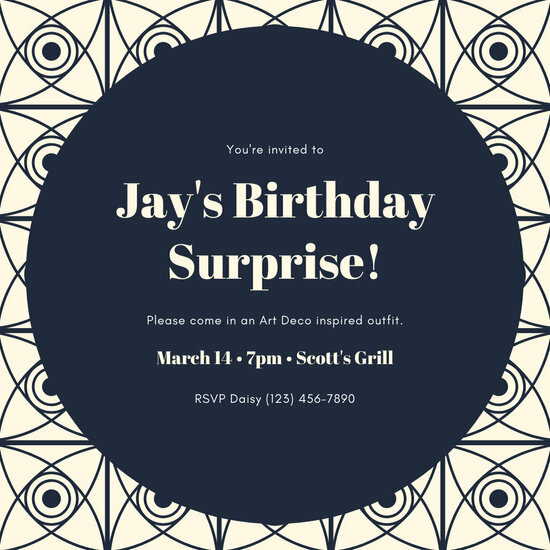 If you need to make changes in the future, simply go back to your original work and make the necessary edits. 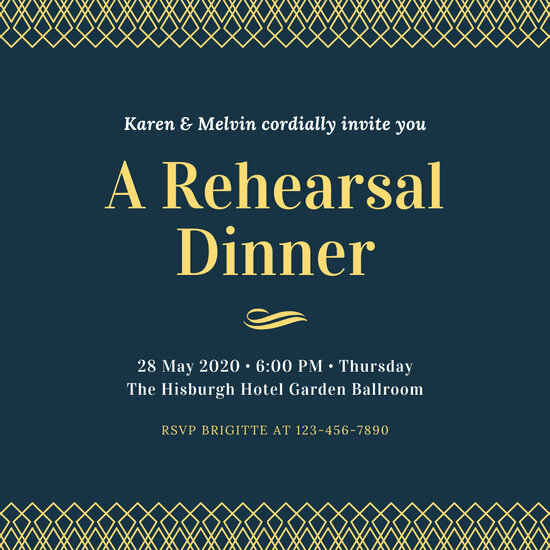 Make your event truly memorable and exciting by making meaningful designs through a convenient and quick process that anyone can follow!